Convertible straps are a genius idea! I love this dress on you and the accessories are styled perfectly! That dress is just so adorable - the pattern is just perfect for summer. And those shoes! The color is just so great! 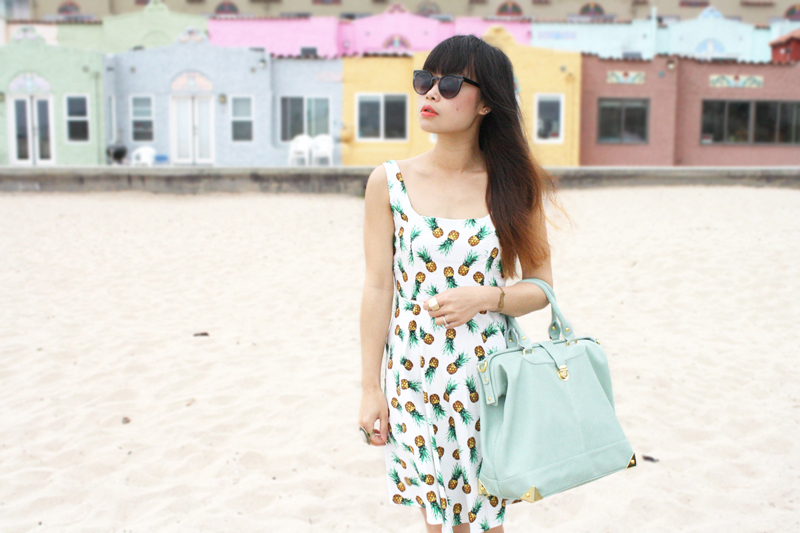 Your pineapple dress look awesome! 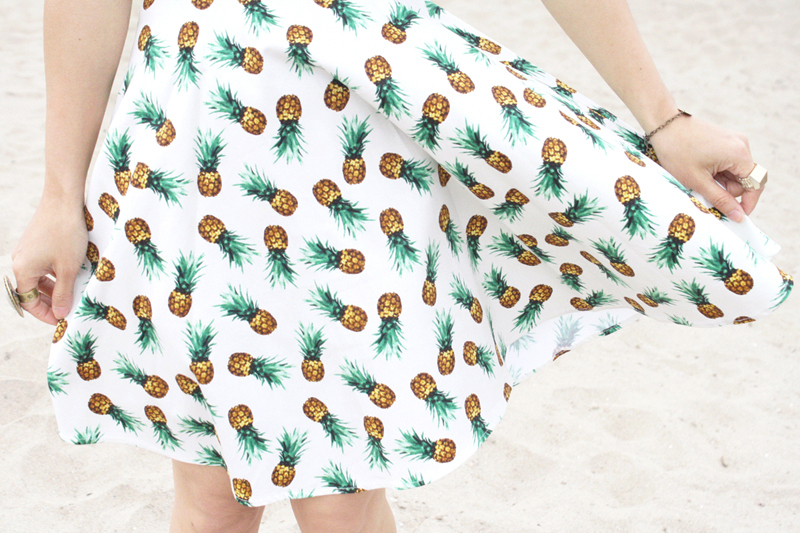 Pineapple on your dress. 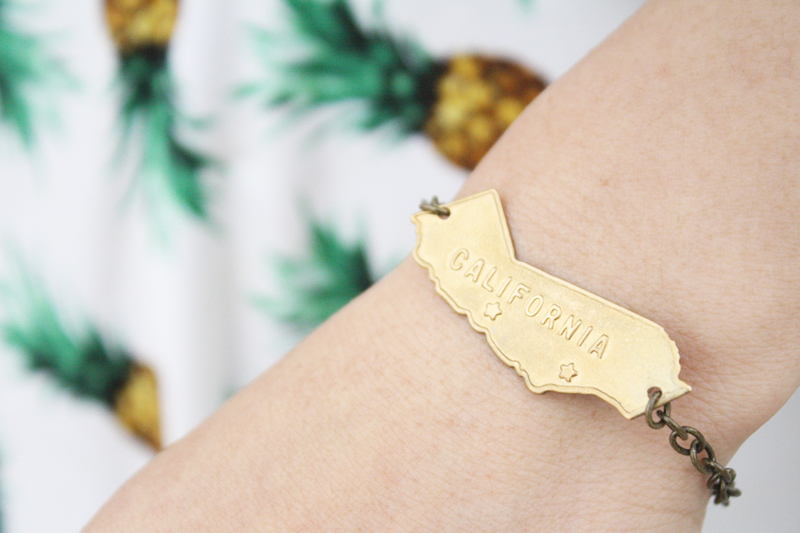 So summery!! Love it!! Such a great beach/summer dress. And love the sandals too.